An Autodoner can be used for Gyros, as well as Shawarma, Doner Kebab, and Tacos Al Pastor, and perfect for any commercial restaurant or hotel serving meat. 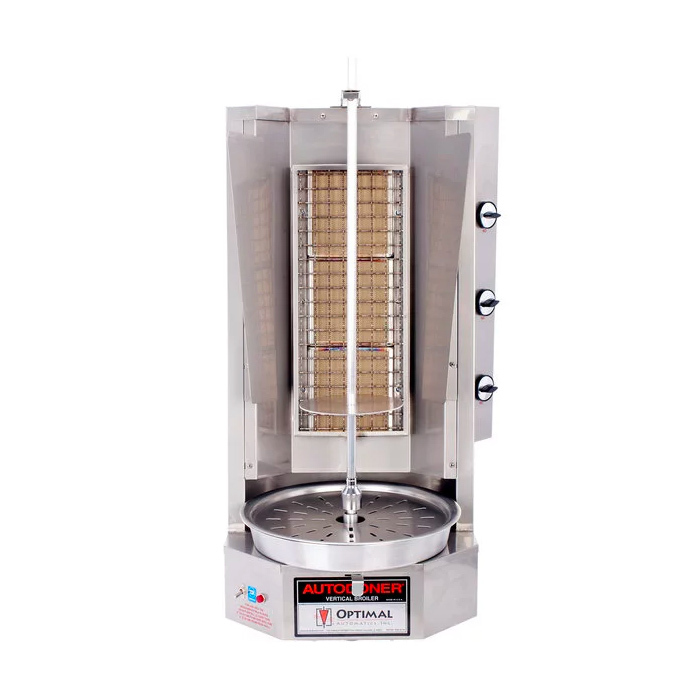 This vertical broiler contains three 15,000 BTU burners and has a capacity of 85 lb of meat. At 35” tall, our newest model stands alone! 3 individually controlled horizontal burners provide zonal heat control. The G500 is designed for the operator using extra-large cones, this machine combines old-world style with time-proven Autodoner engineering. This machine comes equipped with all the accessories needed for optimal use.